Portugal is on a potential shortlist for low-cost airline Easyjet to request an Air Operator’s Certificate (AOC) due to concerns over how Brexit will affect flights within the EU. The Luton-based airline will make its decision as to where it will set up its new EU subsidiary at the end of May. According to newspaper Diário De Notícias’ financial section, Dinheiro Vivo, the British airline has been involved in talks with the Portuguese government since the second half of last year. Talks have reportedly focused on creating a domestic brand that will allow it to keep its European domestic operations, such as those linking Lisbon and Madrid. Should an affiliate be set up in Portugal, it would fly under Portuguese colours, with up to 200 planes being registered in the EU. Also on the shortlist is Austria, with sources close to the proceedings telling the Portuguese publication that Easyjet’s decision ultimately boils down to Austria or Portugal. Its new EU registration comes as a way of getting around obstacles regarding the movement of people that Brexit threatens to entail. DN/Dinheiro Vivo found that talks between the airline and the Portuguese government have been ongoing since the latter half of last year and focus on a national brand that would allow the low-cost company to maintain its operations in the EU. Despite being a British airline Easjyet comprises 40 percent Cypriot capital, which to an extent allows it to meet European rules governing aviation with some ease. 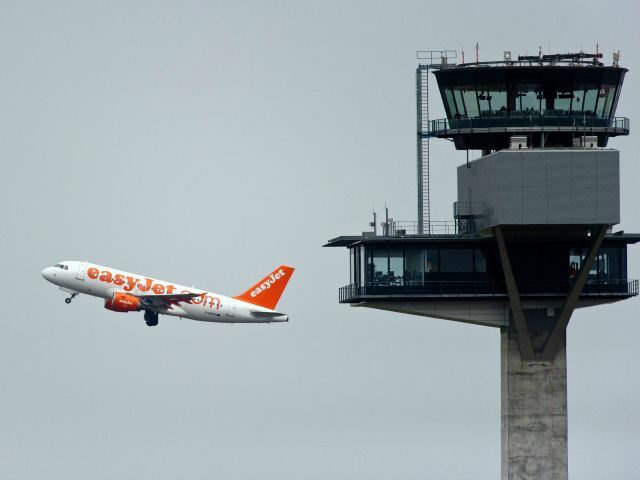 As a British company, Easyjet has a UK-issued AOC in the United Kingdom and has a second certificate in Switzerland because it could not operate in the country otherwise. With the onset of Brexit, the company would need a third licence. “EasyJet remains committed to the UK and has taken steps to secure the future in the business after the outcome of the referendum,” said John Barton, the group’s chairman, in the latest accounts report and accounts. In practice, what is being discussed is the creation of a new easyJet company in a European Union country. If Portugal is chosen, as some sources point out, the company would have a Portuguese brand, with fleet registration and its base in Portugal. This, according to Dinheiro Vivo, would not mean that the company’s planes would physically pass to Portugal, but they would be registered in Lisbon. That record would then be visible on the nose of the airplane, which would also bear the national flag, and at the rates at which the company would pay in Portugal. It is estimated that between one hundred and two hundred aircraft could be transferred to the European Union register. With its operations on EU territory, the brand would no longer be at the mercy of the UK’s Brexit package of exit, which despite not yet being decided, could block the free movement of people and goods of British transport companies within the European Union, meaning domestic connections in the EU, such as Lisbon-Madrid, would be compromised. Dinheiro Vivo reported the British airline estimated it would cost around ten million euros to request a new operation record and change the registrations of its fleet. Eurowings, a subsidiary of Lufthansa, recently received an Austrian operating certificate, as did Etihad.